The Health Ministry said yesterday that legal action will be taken against errant traders who try to sell Fonterra milk powder stamped with the batch number 107610163 (Anchor 1+) and 60500883 (Anchor Full Cream), Maliban Non-Fat milk and Diamond milk powder, that were banned last week. 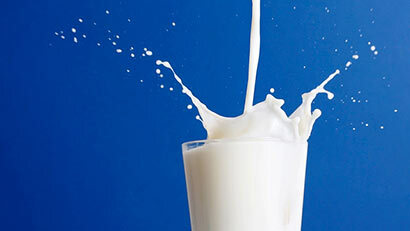 Random checks around the city by the Public Health Inspectors (PHIs) of the Colombo Municipal Council (CMC), have revealed that some of the supermarkets and shops are continuing to trade the banned milk powder. Health Ministry Spokesman, W.A.D. Wanninayake, said the Additional Secretary to the Health Ministry, Dr. P.G. Mahipala, and CMC, Chief Medical Officer, Dr. Pradeep Kariyawasam, who had participated in the raids with around 100 PHIs’ had also found most of the trade outlets had removed the banned milk products from the shelves. “Except for one supermarket, all the other shops had taken the banned items off the shelves,” he said. “We also expect the companies to honour their commitment and abide by the ban. Any attempt to re-introduce the banned items into the market will only result in the banning of the remaining three products the company produces,” he added. The Health Ministry last week banned the sale of Anchor One plus, Anchor Full Cream Milk Powder, Maliban Non-fat Milk Powder and Diamond Milk Powder, on the grounds that testing has proved that the milk powders contain chemical dicyandiamide (DCD) that is harmful to health.